hether you’re a dude who dons your neon Lycra to commute to work or whether you prefer to hit the trails on two wheels at the weekend, it doesn’t matter. 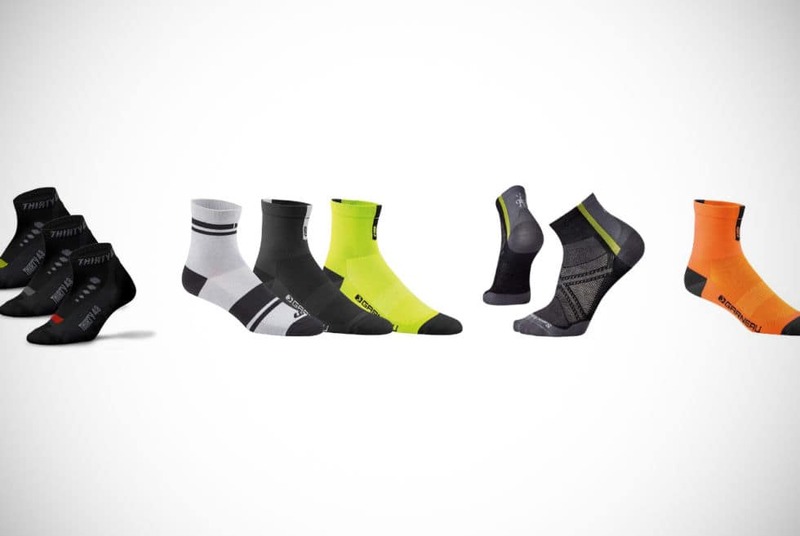 If you’re a smart guy upon your cycling steed, you’ll know the importance of finding the right pair of cycling socks for men. You already know that getting the right cycling gear is pretty important. Almost certainly, you paid attention to getting the safest helmet, the most stylish jersey, and the most comfortable seat. You could be forgiven for overlooking what you wear on your feet, however. Socks aren’t usually a high priority for cyclists, whether you’re a dedicated pro or just want to get more exercise without having to go for a jog. While it might sound like an overstatement, many guys have suffered the irritation of sweating feet while riding. When you go through it, you’ll know just how essential it is to find the best cycling socks on the market. Cycling socks for men come in a host of colors, styles, and designs. However, when you’re shopping around for a pair of socks that are comfortable, cool, and stylish, you’re going to need some expert advice. If you ever thought that shopping for cycling socks was going to be a breeze, you’d be surprised. There’s so much choice out there today, that it can be easy to make a mistake. 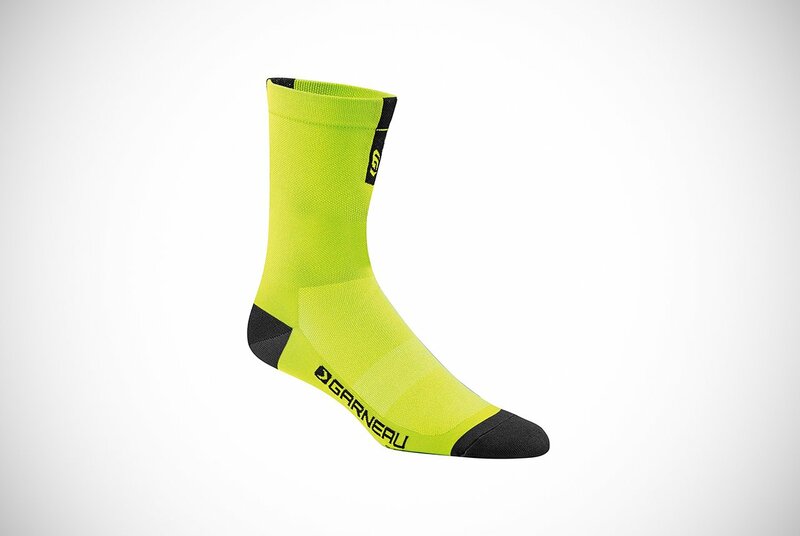 Those neon green funky cycling socks may make you stand out from the crowd. However, they could also make your feet smell like old cheese once you reach your destination. We’re here to help you avoid making an embarrassing error. That’s why we’ve done all the hard work so you don’t have to – finding the top 20 best cycling socks for men. What to think about when buying cycling socks online? If you’re one of those guys who doesn’t want to pay too much time and effort to shopping for the essential gear, you probably won’t be reading this! However, if you’re in doubt about how to make the right choice, be reassured that buying the right cycling socks for men isn’t just about going online and choosing the first thing you see. Your cycling socks need to have a smooth and snug fit without being too loose or too tight. This will stop any bunching up or rubbing around your toes and heels. Buying the right size for your foot is not just common sense, it’s essential. Loose material is just going to make your feet uncomfortable and cause pressure points. At times, looseness can cause more sweat to build up as well. Even creating a pocket to catch all that come down your legs during a ride. Not good. While we’re talking about fit, we need to consider length. Different cyclists have different preferences, so you need to choose the right length for you. Ankle socks are a popular choice with many casual cyclists, as most just like to ride for fun. However, for racing enthusiasts, long cycling compression socks are often seen as a better option. Whether you prefer tall cycling socks or short ones is a matter of personal comfort. To us, it won’t really matter which you choose. Yet it may have more to do with what you’re wishing to do on your bike than anything. It stands to reason that the socks you wear on a summer bike ride probably aren’t going to cut it in the winter. The same for winter gear in the summer. 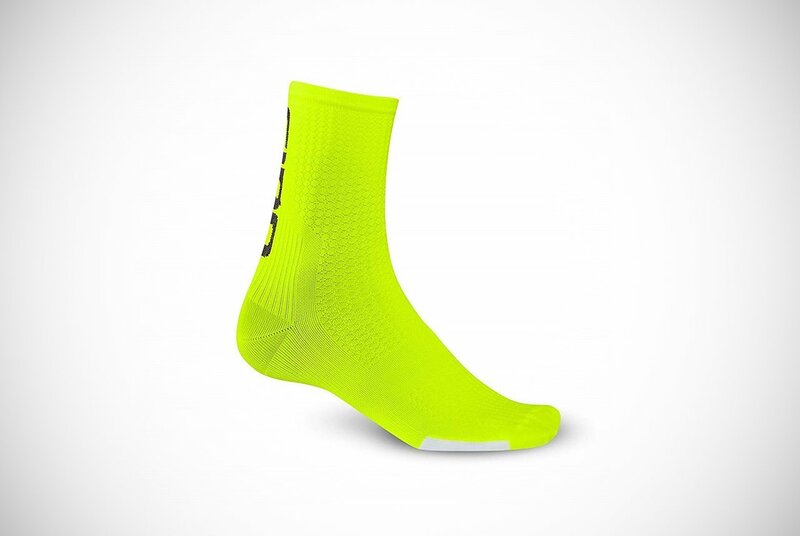 As a guy riding into the wind on a race or normal ride, you’re going to need cool cycling socks for men that allow air to circulate around your feet during the hot months. Otherwise, your feet aren’t just going to smell terrible but they’re going to be at risk of blistering from rubbing. On the other hand, winter cycling socks for men need to be thicker to insulate your feet from the chill. Waterproof cycling socks could also be a consideration during the winter months, especially if you’re into mountain biking. We cannot stress enough how important it is to keep seasons in mind. This means putting the right clothing on for the right season. Don’t be that guy who wears next to nothing in a windy and below freezing climate. It’s technically a minor consideration, but it might be the most important one to you if fashion is your main goal. In the old days, you had just one basic decision to make – would it be black cycling socks or white cycling socks? These days, you’ve got a world of options to pick from. 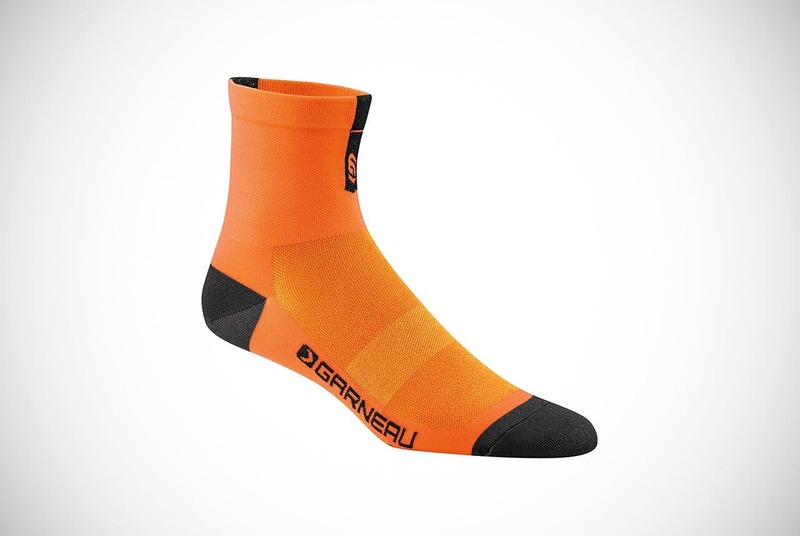 Do you want to make a statement in a pair of orange cycling socks? No problem! Do you want a funky pattern? Go for it! You’ll easily be able to accommodate your requirements and express your unique and eclectic style. If you’re ready to take it up a gear and express your feminine side in pink cycling socks, go right ahead! You can find cycling socks in a range of fibers. Cotton is the most common and most popular because it absorbs moisture well. However, it isn’t always the best choice for cycling. This is because it can expand as you sweat, leading to rubbing and blistering. You should consider a polyester or nylon sock instead. These are woven closely allowing for a more snug fit, more effective moisture-removing, and reduce road dirt and grime working into the fibers. Some specialized cycling socks for men have integrated antimicrobial fibers. This will balance your bacteria levels to reduce the chance of irritation and, vitally, cut down on unwanted odors. Though not the biggest consideration to think about, it’s certainly useful to you to look into it. If a sock already interests you and it has this, try it out and see how you like the fibers. If you do end up seeing a good result, perhaps all future athletic socks would need to include this for you. Do I really need specialist cycling socks? Can’t I cycle in regular socks? Although some cyclists don’t see why they should invest in specialized cycling socks, there are lots of good reasons to consider buying a pair. Regular socks might be okay for the occasional ride into the countryside. However, if you’re serious about your sport, or just want to look the part, cycling socks are essential. If you wear socks designed for other sports you’ll find many have cushioning built in. This could affect how well your cycling shoes fit. Some general sports socks are also made of heavier fibers which not only cause your feet to sweat but also cause your shoes to feel too tight. Another reason why specialized cycling socks are so important is to enhance your cycling performance. This may not be important to you if you’re only commuting to work or enjoying a family bike ride on the weekends. 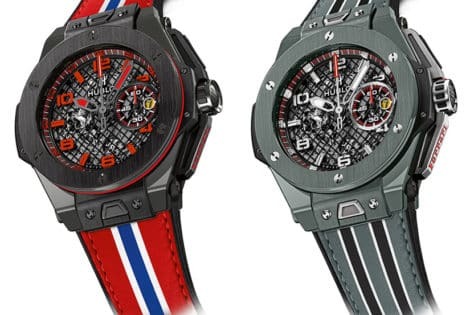 However, it could be a serious consideration if you’re a racing enthusiast. Cycling compression socks are designed to help boost blood circulation to your muscles and help your calves to function more effectively as they work hard. Specialist cycling socks are also designed to be extra comfortable by giving your foot better contact with the shoe and pedal below it. 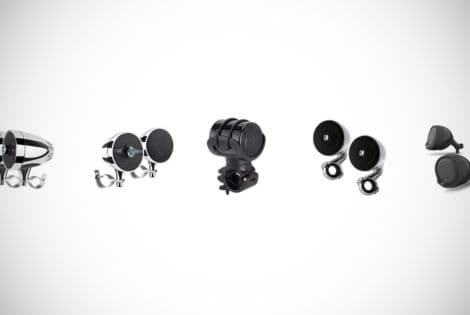 Thanks to their thinner weight, they enable you to “feel” your way on the road more effectively and save you energy by ensuring the most efficient pedal stroke. As you can see, your cheap Walmart socks that you bought for work probably aren’t going to do the job. Not if you want to get the most out of cycling at least. We recommend that you definitely try a pair of good quality cycling socks to see the difference if you aren’t sure they’ll benefit you. We’re pretty sure that you’ll definitely feel the benefits. What are the main brands of cycling socks? A quick browse of the internet will reveal a surprisingly large number of cycling socks for men, and their several brands. However, as you might imagine, not all are equally good quality. With cycling socks, as with most things, you tend to get what you pay for. If you’re paying just a few cents per pair you can’t really expect them to be up to the demanding task in hand. If you choose one of the well-known brands, you’ll get a great pair of socks that should up performance on top of being comfortable. There are a number of leading brands in the cycling wear industry that are known for their high-quality materials and excellent manufacturing. Looking for breathability, comfort, and long-lasting style? 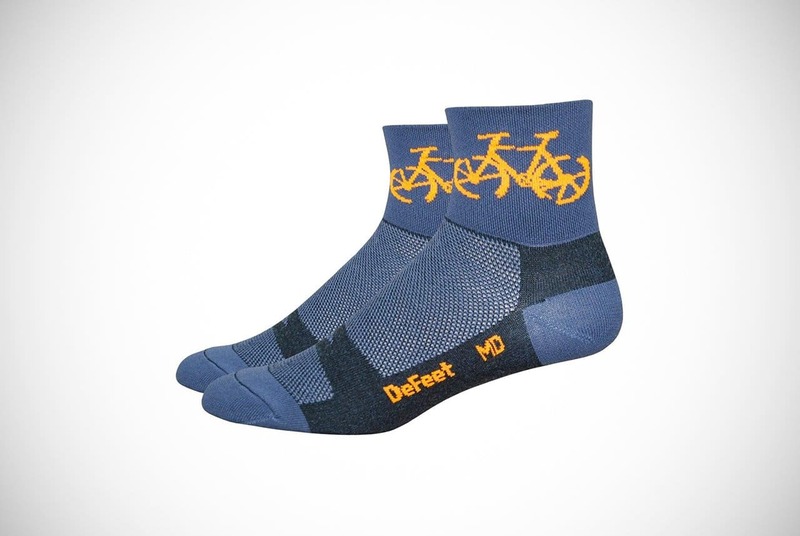 You might want to consider Defeet cycling socks, which are not only famous for their great quality but also their fantastic range of cool and funky designs. Swiftwick cycling socks are also popular with professional cyclists thanks to their excellent quality and high performance. 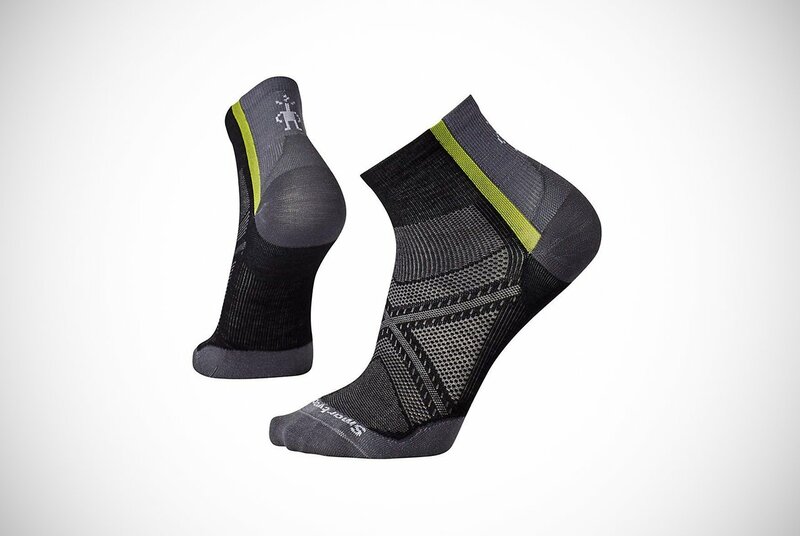 Having been in the industry for a decade, Swiftwick is a dependable and reliable brand. 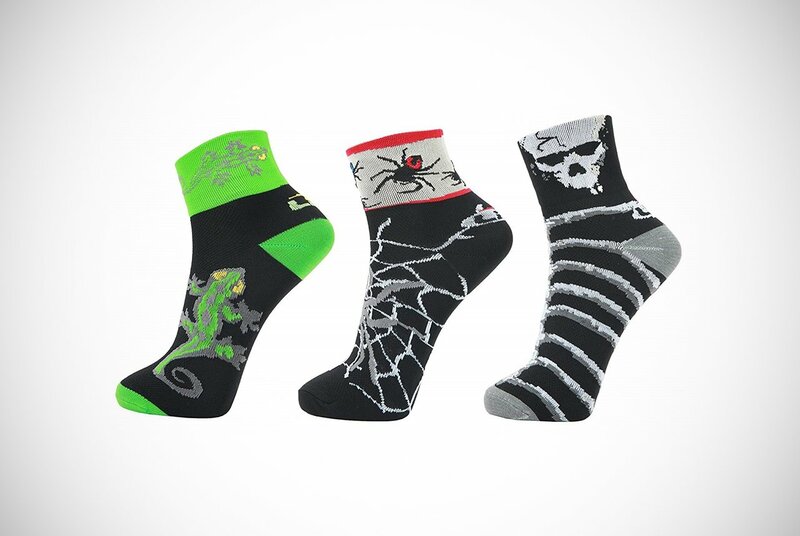 They offer both tall and short socks and seem to be the perfect pair to suit many feet. Enhance your calves to show off all your hard work with a pair of long socks or express your funky style with a pair of patterned, colorful ankle socks. You’ll find something in their range to fit here. 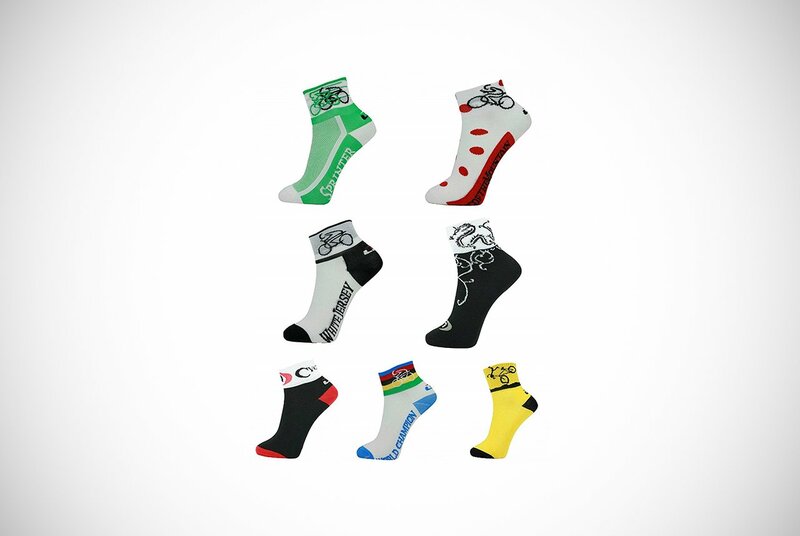 Are you ready to find the perfect cycling socks for you? Here’s our round-up of the top 20 pairs on the market today. These cycling socks for men are designed to prevent injuries to the muscles and promote better blood circulation to the lower legs. Thanks to the targeted compression zones, discomfort and pain will be a thing of the past. The graduated compression is designed to support the foot while reducing fatigue, soreness, and cramping. The style has been designed to fit the foot properly so that there will be no slipping. Designed to fit sizes 6 to 11, these socks have a moisture-removing design for extra breathability. That means you won’t need to worry about bad odor or sweating. These socks have also been designed to retain their shape in the long term and are resistant to pilling. They are machine washable, comfortable to wear and stylish. Clearly, they are the perfect socks for any cyclist who is looking for performance and style in one convenient and affordable package. These high-quality cycling socks for men are made from a special fabric called Coolmax. They have been designed to enhance drying while also effectively removing moisture. With its 51% Coolmax content, these socks also have a 6% Lycra content, together with 20% polyester and 23% nylon for excellent stretch and a snug fit. The arch support gives extra stability and comfort to the foot while there is also a mesh upper and under which is designed to be ultra-breathable. There are also reinforced toes and heels for better durability. The result is a comfortable sock which won’t make you sweat and won’t produce an unpleasant odor. 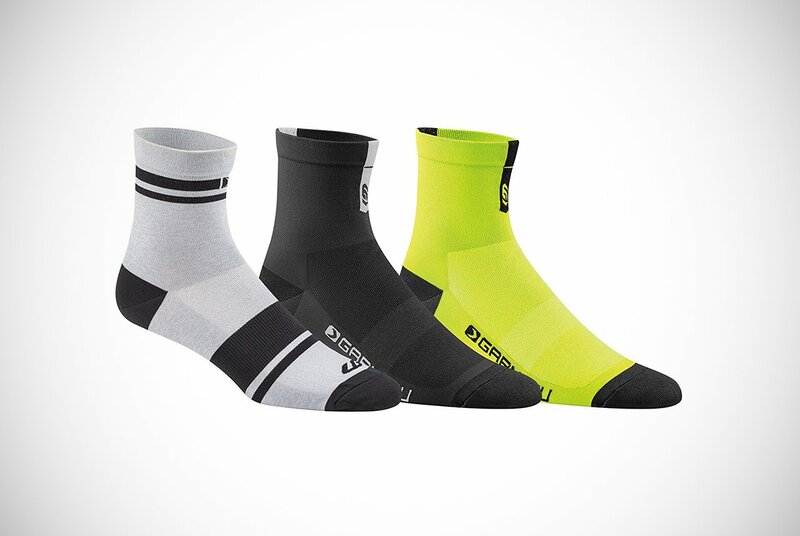 Made with Swiftwick’s signature Olefin fiber, these cycling socks for men are designed to be high performance. The high-quality material removes moisture effectively. This allows you to stay comfortable and dry no matter how hot the weather or how far you’re riding. Thanks to the impressively contoured compression fit, your foot’s contours will be well supported. This should help to reduce fatigue when you’re out on the road. Even better, there’ll be no bunching of fabric to worry about and no resulting blisters – bliss! There’s a seamless toe too, so there’ll be no friction when you’re wearing your cycling shoes. Due to the socks being made by one of the USA’s top manufacturers, you won’t need to worry about quality. 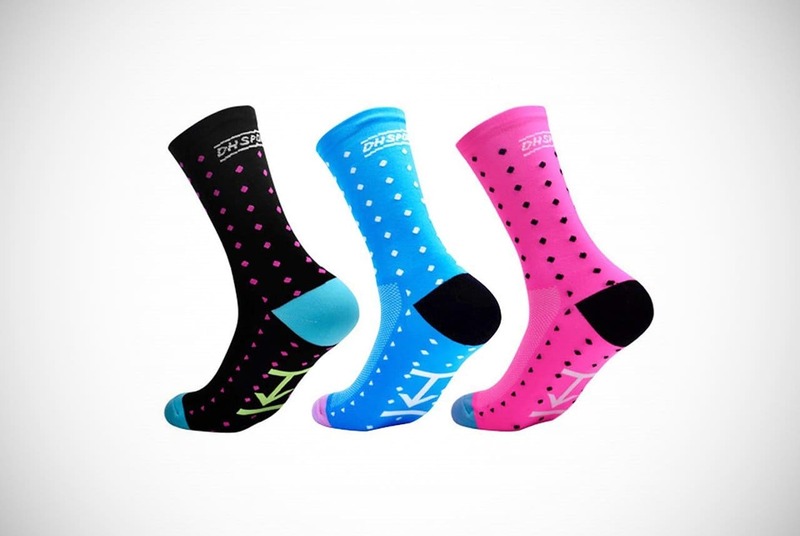 Swiftwick is one of the top brands on the market. That means you can rest assured that if you buy these socks you’ll be enjoying optimal performance every time you get on your bike. 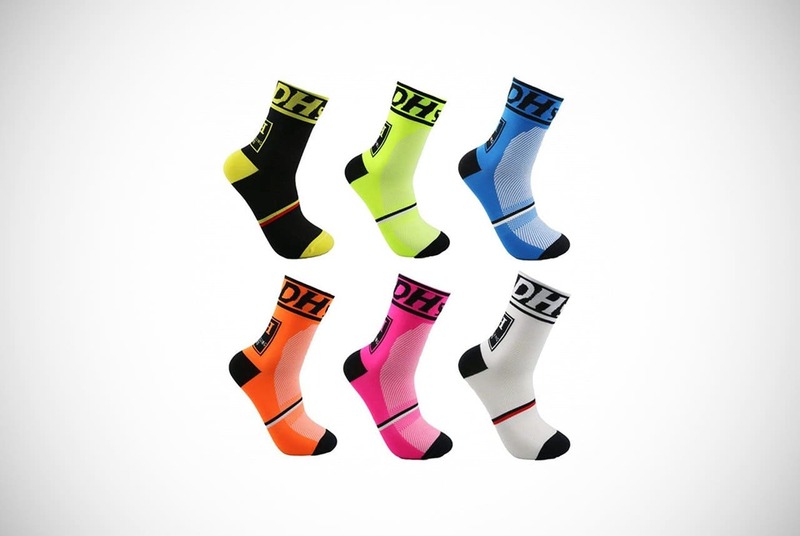 These high-quality cycling socks for men are made from a range of quality and high-performance materials. Including the likes of spandex, nylon, and polyester for excellent stretch and fit. 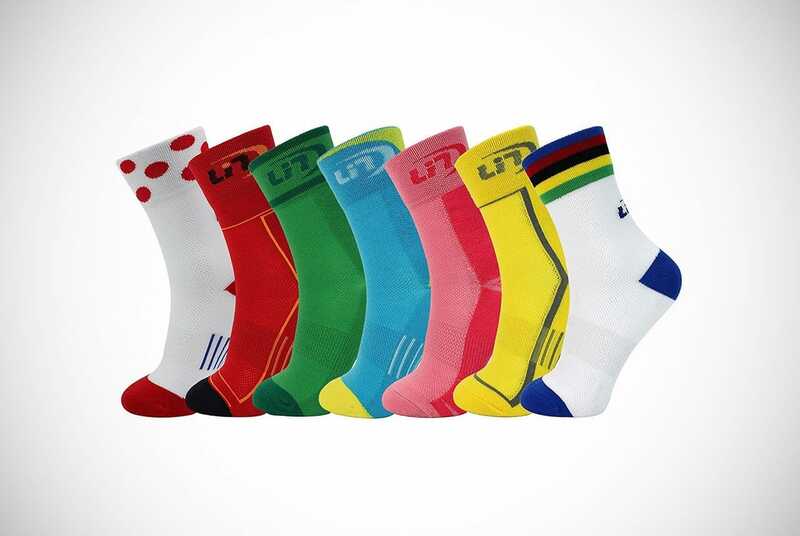 Recommended for cycling along with other kinds of sports, these LIN socks have a flat seam at the toe. This ensures that they are incredibly comfortable when worn for an extended period. This without any rubbing or blistering that could distract you from pedaling. The socks are designed to help compress the foot and ankle for better blood circulation to the muscles. These socks are also made from a moisture removing fabric to reduce the moisture produced by sweating. You won’t need to worry about unpleasant odors when you take your sneakers off since either. These socks have been treated with an antimicrobial agent. The horrible smell of cheesy feet will be a thing of the past. The reinforced cuff also means that these socks won’t slip down with wear. Thanks to the mesh vent structure, there is excellent airflow around your foot for enhanced breathability and reduced moisture. The heel and toe have even been reinforced for extra durability. 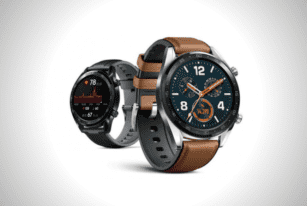 Meanwhile, the Y-design has an integrated gel pad and arch support band. This allows your foot to be cushioned and supported without adding extra bulk when you’re wearing your cycling sneakers. If you’re looking for a great pair of cycling socks for men, this pair from Thirty 48 has been designed with the demanding requirements of cyclists firmly in mind. They are designed to keep your feet dry, cool, and well-supported even when you’re in the saddle for hours. The socks are subtle in color yet effective in design. The integral elastic arch support minimizes any friction to your toes and heels while supporting your foot’s plantar arch to reduce any possible pain. Meanwhile, the CatalystAF technology ensures optimal airflow for excellent moisture removal. In conjunction with the high-quality Coolmax fabric, the result is an unrivaled sensation of dry and cool comfort with no stickiness or odor even on the hottest days. 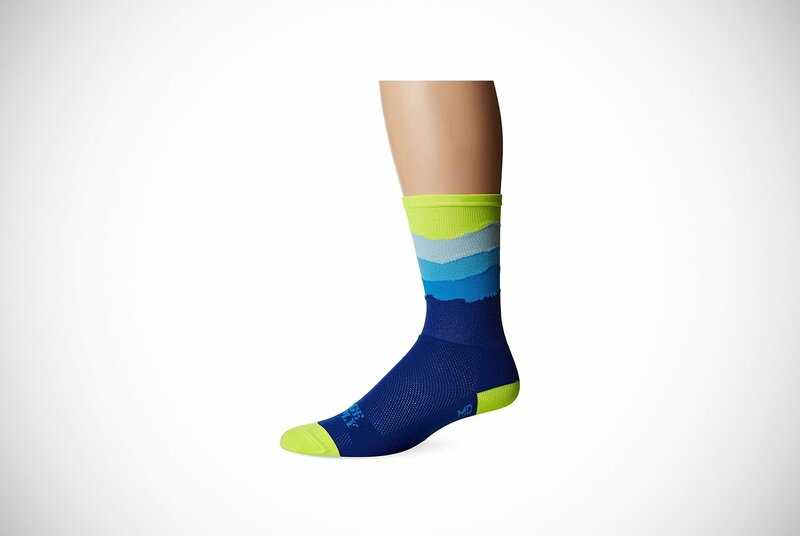 While these socks have been designed primarily for cycling, they can also be worn for other sporting activities. Thanks to the 90-day satisfaction guarantee, you won’t need to worry if they don’t meet your needs. All in all, you can’t get better value than that! Give your phone the deluxe treatment with our second case from Spigen. Offering protection for both the front and back of the phone, this is the first case on our list which pays more than lip service to looking after the screen. Made from a blend of polyester, nylon, cotton, and spandex, these high-quality LIN socks are designed specifically to meet the needs of sportsmen everywhere. With their flat toe seam design, these socks ensure that your toes don’t feel any discomfort while you ride due to rubbing or blistering. These cycling socks for men are designed to help compress your ankles and calf muscles effectively for better blood circulation. As high-performance socks, they are able to help keep your feet blister-free no matter how long you spend in the saddle. Their antimicrobial properties also mean that no unwanted odors will be released. The moisture removing ability means that your feet will feel cool and comfortable on even the hottest days. The reinforced cuff helps to prevent any unwanted slippage down your foot and ankle. Meanwhile, the mesh vent structure allows the air to flow effectively around your foot. The heel and toe are even fully reinforced to help guard against wear and tear while the gel pad and arch support band are there to make sure your feet are as comfortable as possible throughout your ride. As popular cycling socks for men, this pair from the Giro brand comes in a 3 pack for extra value for money. Its minimalist design has been constructed using premium quality fibers. That means the moisture is effectively removed completely, leaving your feet comfortable and dry no matter how long you wear them. 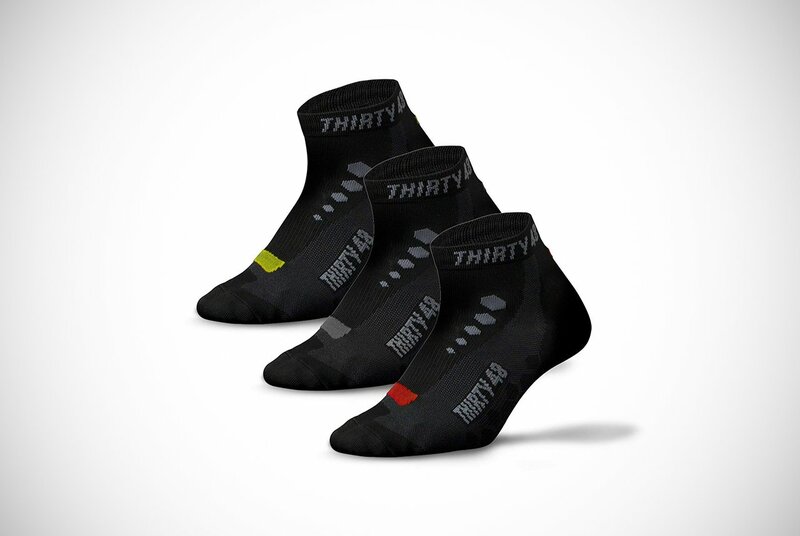 The three-inch cuff makes sure that these socks stay in place throughout your ride. As they’re made in Italy, you can be convinced of their high-quality manufacturing. These socks are from a reliable brand, and thanks to their high-quality fibers, you can rest assured that you’re getting what you pay for. Made from a mix of gauze, rubber, and Chinlon, these well-elasticated cycling socks for men are designed to fit anyone with a shoe size from 6 to 11. Made to have outstanding arch compression for better stability and comfort, these socks also have reinforced toe and heel construction for extra strength and robustness. They are designed to suit men’s sizes 6 to 11, allowing a wide range of feet to be included. These socks have a breathable mesh to make sure that your feet stay cool and comfortable no matter how hot the day. With their integral moisture management technology, these socks remove moisture from the skin for extra dryness. The thickening heel and self-adjusting cuffs ensure comfort for your leg and foot. This pack contains 6 pairs for extra value. With its Meryl Skinlife construction, this pair of racer socks has a classic three-inch cuff for better comfort and a better grip. Made in Italy, these cycling socks for men boast high performance and excellent quality. Their classic racer design is made with smart riders in mind, but with a more modern fabrication. Soft, comfortable yet very durable, these socks can be worn every day thanks to their stylish appearance. Offering outstanding moisture management, these socks keep your feet cool while also having an excellent fit to your foot. These SmartWool cycling socks for men have a 3% merino wool content for extra comfort, paired with nylon and elastane for excellent stretch and fit. Made in America, these socks have a virtually seamless toe so there will be no rubbing or blistering. The 200 needle construction ensures an outstandingly high knit density. However, these socks are so lightweight that they are incredibly comfortable to wear. With their mini height, the socks are ideal for anyone who prefers a lower level sock. They can be machine washed, so they are incredibly easy to take care of. Comfortable to wear, these socks can help to regulate your body temperature, and their Indestructawool technology ensures optimal comfort and durability. As an added advantage, the mesh ventilation zones ensure optimal breathability for cooler, less smelly feet. Made from 51% Coolmax, these performance cycling socks for men are capable of removing moisture and enhancing drying for better comfort. These Conti socks have been made with 20% polyester, 6% Lycra, and 23% nylon. They have a very stretchy cuff, so the pressure points are reduced and therefore blood flow is improved. The integrated arch support ensures optimal stability and support for the foot. Meanwhile, the ultra-breathable mesh under and upper aligns ensure excellent breathability for better airflow and cooler feet. Not only that but there are also reinforced toes and heels for even better durability. Designed to meet the needs of sports enthusiasts like cyclists, these socks have a flat toe seam construction. Made from spandex, nylon, and polyester, they are designed for comfort in the toe box. 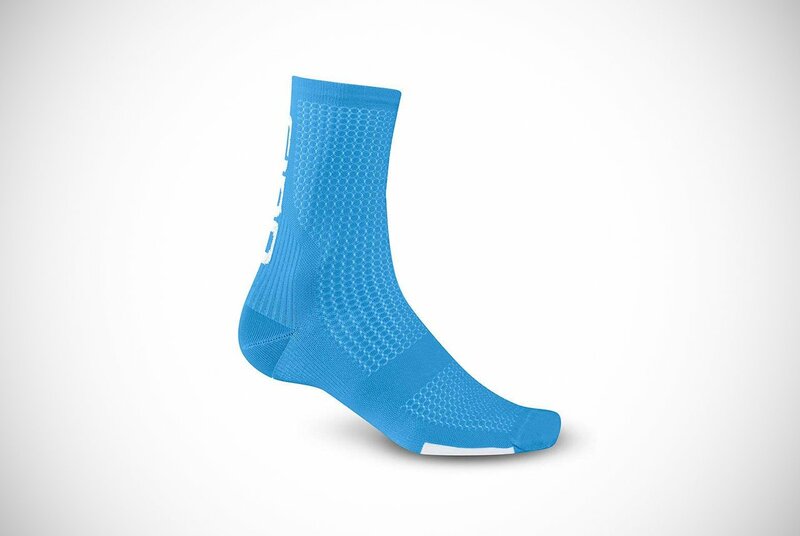 Designed to offer managed compression, these cycling socks for men are made to reduce the chance of blistering thanks to their antimicrobial properties. With their reinforced cuff, the socks have a mesh vent structure to allow for better airflow and reduced odor. Also, thanks to their reinforced heel and toe, these comfortable socks won’t rub or cause blistering. The gel pad and arch support band also ensure high performance and better comfort when cycling. Made from 100% polyester this United States-made pair of DeFeet socks have excellent shape retention. That means you can be sure that they will stay in place perfectly. 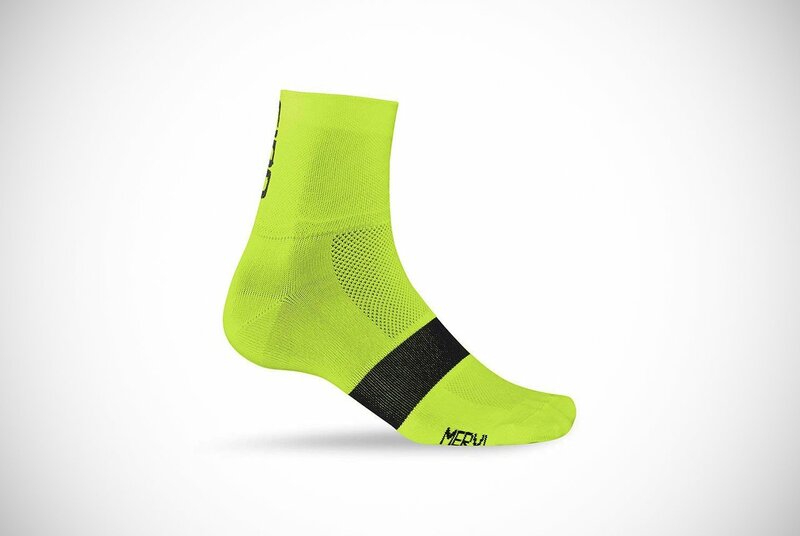 Designed to be shrink resistant, these socks are also highly moisture removing so you can be sure of dry and comfortable feet throughout your ride. 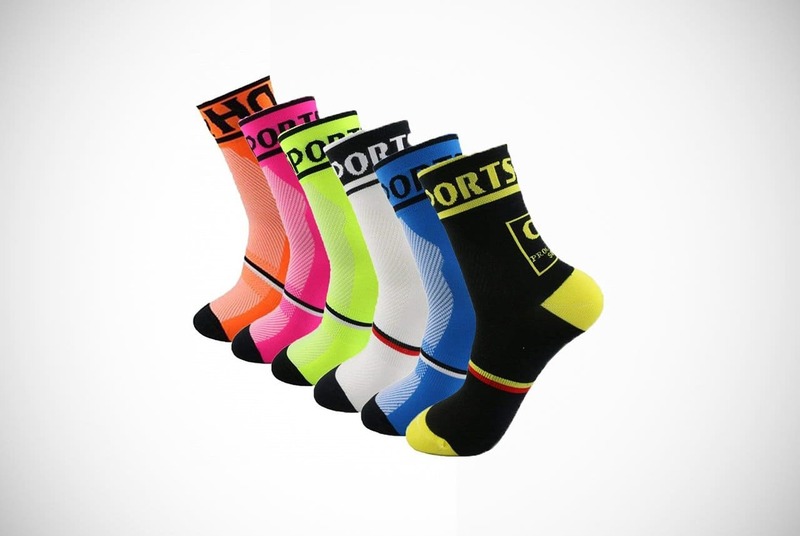 Coming in stylish colors, these attractive socks are bright and colorful. They are made from Coolmax, so you can be convinced you’re doing your bit for the environment. Coolmax is made from water bottles that have been recycled so you can rest assured that you’re helping to improve the world while you cycle. Conti makes their cycling socks for men with over 50% Coolmax content. This fabric designed to enhance drying while also removing moisture to reduce the chance of rubbing and blisters. The socks have been manufactured from 6% Lycra, 20% polyester, and 23% nylon. This means you can be sure of the excellent stretchiness of the fabric. The cuff is very stretchy to reduce any pressure points and to boost blood flow to the calves. Meanwhile, the arch support ensures better stability and comfort. The mesh upper and under alignments are ultra-breathable to ensure optimal airflow around the foot. Also, Louis Garneau reinforces the toes and heels to offer even more durability. These fast drying and moisture removing socks have been designed for high performance. The fibers used to make the socks have inherent moisture moving qualities so you can stay dry no matter how hot the day is. The thin-channeled footbed and upper design ensure optimal ventilation. This means there is even better breathability around your foot. 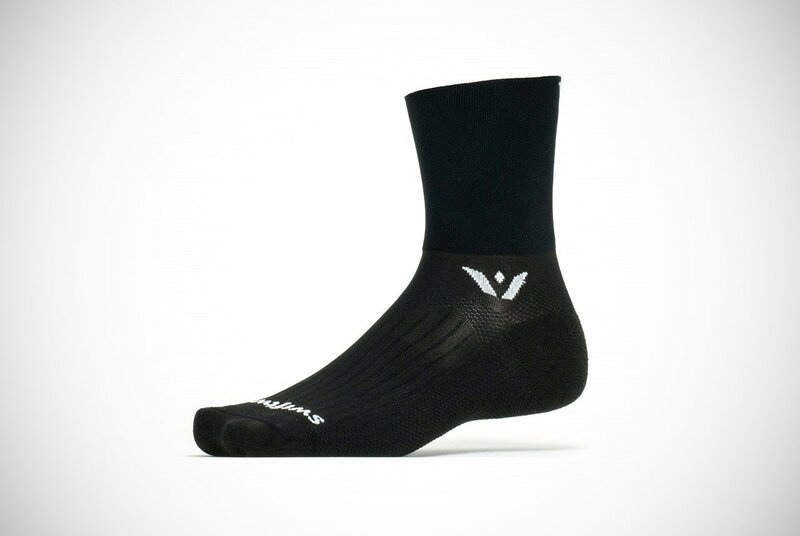 Created especially for cyclists, these socks have an especially thin profile for even more responsiveness. The firm compression design supports each of the foot’s contours. No matter how long your ride, the product can offer fatigue resistance. SwiftWick even makes the toes without seams for zero friction in your toebox. 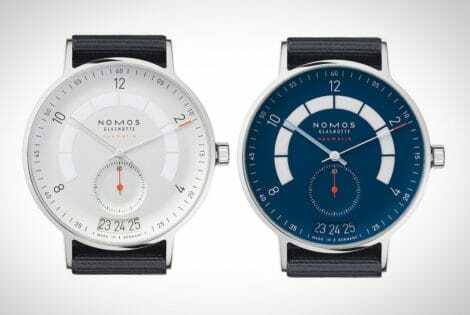 They craft and design their products in America so you can be convinced of their quality. Tremendous socks made from a blend of CoolMax, nylon, and Lycra are top notch. These soft and stretchy cycling socks for men are lightweight and perfect for sporting use. 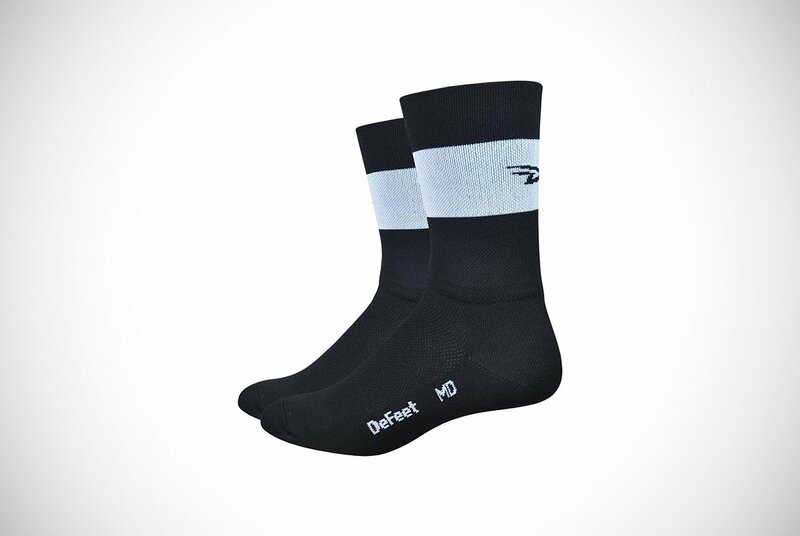 DeFeet offers a one year manufacturer’s warranty, to offer extra protection. They make sure to design the socks to meet even the most demanding cyclist’s needs. With a six-inch height, they are designed to keep the feet cool even on hot days. Thanks to their recycled material construction, they remove moisture for better cooling. The mesh ventilation keeps your feet comfortable even in hot climates while the double compression cuff ensures an optimal fit. The heel and toe panels are also extra durable so premature wear will never be a problem. Trainlife makes these cycling socks for men out of lightweight, high-performance fibers. They dry quickly and remove moisture, allowing them to be resistant to abrasion. The brain designs them to be colorfast and strong for excellent durability in the long term. The Y-shaped stitching creates a heel pocket which contours perfectly to your foot and moves in perfect synchronization with it. The toe seam is also virtually invisible and therefore eliminates any friction in your toebox. The footbed has a mesh knit pattern so there is optimal breathability. With a medium compression and medium cushion design, these socks are just as suitable for everyday wear as they are for high-performance cycling. DeFeet once again made a high-quality cotton and nylon pair of socks. These USA made cycling socks for men have been constructed with Coolmax, an eco-friendly material. The design forces a resistance to shrinkage and removes moisture. This allows you to wear them on even the hottest days without worrying about bad odors or sweating. Many know the DeFeet brand well for its high-performance products. One can rest in the assurance that these socks are just what they might be looking for on the trail. Made from a mix of 10% Spandex and 90% polyester fibers, these cycling socks for men are designed to fit all sizes from 6 to 11. There are three pairs in this packet, so you can buy in the assurance you’ll see an excellent value for money. 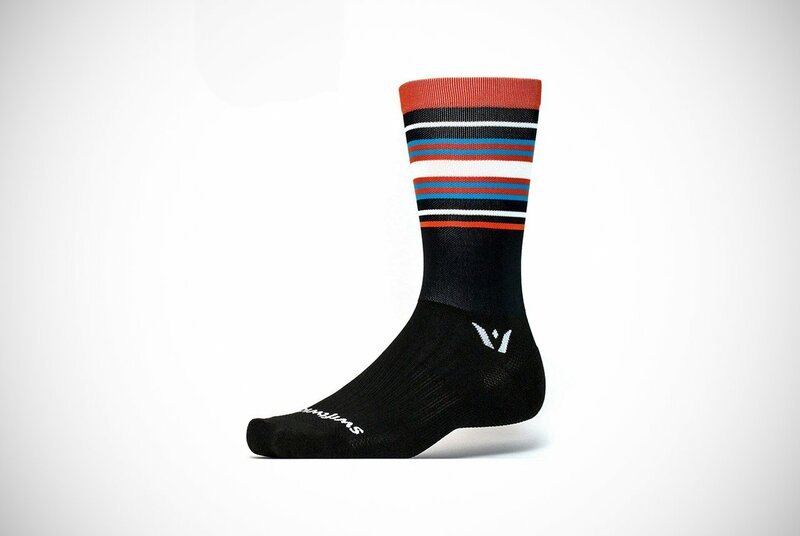 Designed specifically for use by sportsmen, these socks are not only ideal for cycling. Yet they’re also perfect for other high-intensity sports like running, basketball, and hiking. With integrated arch support and reinforced toe and heel construction, these socks help to prevent blisters. 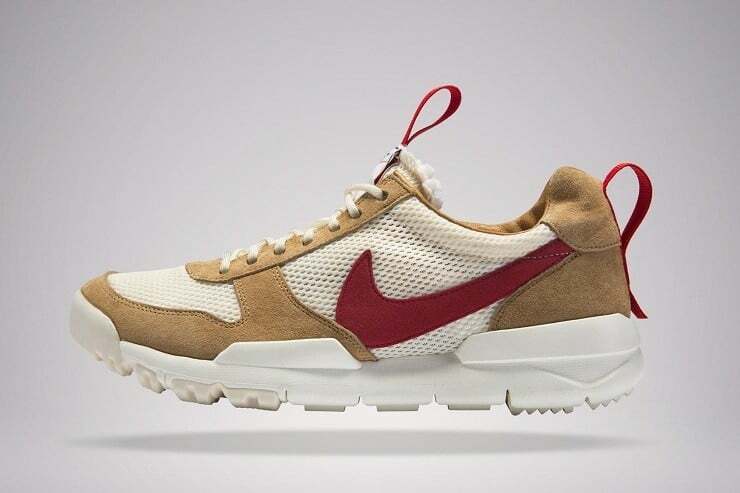 This is thanks to a breathable mesh which allows for better airflow around the foot. The integrated moisture management technology does wonders. It offers moisture removal from your skin, leaving it dry and cool. The elastic cuff of the arch and top is strong to prevent slippage. With their Meryl Skinlife construction, these socks have a high rise six-inch cuff for a better fit. Made in Italy, you can rely on these socks for their high-quality construction. Taking sock performance to a whole new level, these quality cycling socks for men have similar qualities to compression socks. They improve your blood circulation to the ankles and calves whilst also offer even better arch support. These socks are supportive yet surprisingly thin. Giro designs them to remove moisture, they can help to maintain the natural balance of bacteria in the skin for better hygiene and reduced odor. The six-inch cuffs also ensure extra style and a better fit around the leg. Are you ready to buy your first pair of cycling socks for men? The advice here will help you to choose the perfect pair of cycling socks for you. You’ll find that any of the 20 pairs recommended here will help you to feel more comfortable while cycling, even on the hottest days of the year. With their moisture removing capability, thin knit and comfortable feel, these socks aren’t only stylish, but also incredibly practical. Whether you prefer a tall cycling sock or whether you prefer a shorter version that only comes to your ankles, you’re sure to find the perfect pair in our list. All of the socks that we suggest here have been through every test and found to be of high quality and incredibly comfortable. With seamless toes, breathable mesh and stretchy cuffs, you’ll find that any of these 20 pairs will be perfect. Regardless of whether you’re hitting the trails, the mountains, or the road outside your front door.